If you are someone between, “Oh, a pixie is too drastic for me”, and “a straight bob is too boring!” Do not worry. We have the perfect solution for you, ladies! From blue hues that pop to Kylie Jenner’s wavy bob, shaggy bob, to flapper hair and piece-y style – we have a list of showstoppin’ funky looks for everyone. Read ahead to take notes on how to create these popular funky bob hairstyles. The model with her blonde, angular bob and blunt bangs almost had us reaching for the scissors when we spotted her backstage at the Beautick Hair Stylist Show in Italy. The hairstyle complete with dramatic eyes and flawless makeup was the perfect complement to her chic dress. Vampy and funky! Singer Kimberly Wyatt stepped out in London showing off her cool, shaggy bob with soft side-swept bangs. Texturised and flirty, this collarbone-grazing hairstyle is perfect for a heart face shape. Apply a dollop of volumizing mousse to add volume and run your fingers through your hair to create that shaggy look. 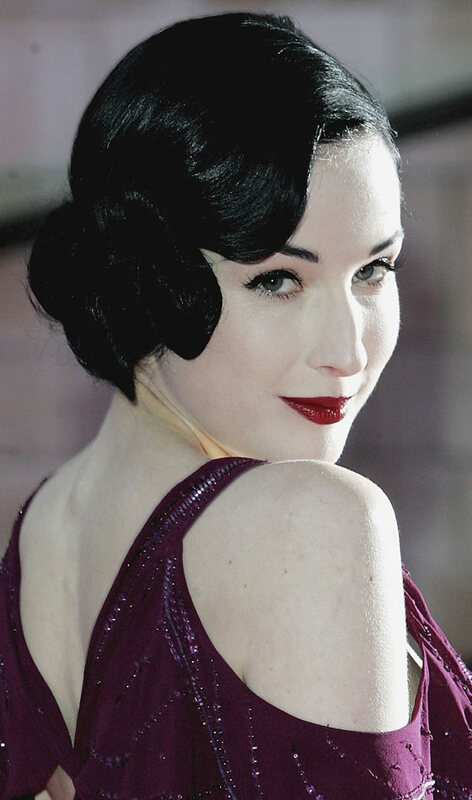 Dita Von Teese scores major style points at The Blush Balls raising fund for her retro Hollywood waves. The dancer keeps it classic by using a curling wand to make retro waves with a side-part and hair pinned behind one ear. For the same volume and shine, apply some light volumizing mousse before and shine serum after curling your hair at the ends. Kimberly Caldwell’s graduated, side-parted look is perfect for those who would never shy to take a risk when it comes to their hairstyle. To recreate her mussed up ‘do, apply a volumizing mousse to damp hair, curl with the help of curling tong, leave to dry, et voila – soft, texturised, undone waves. 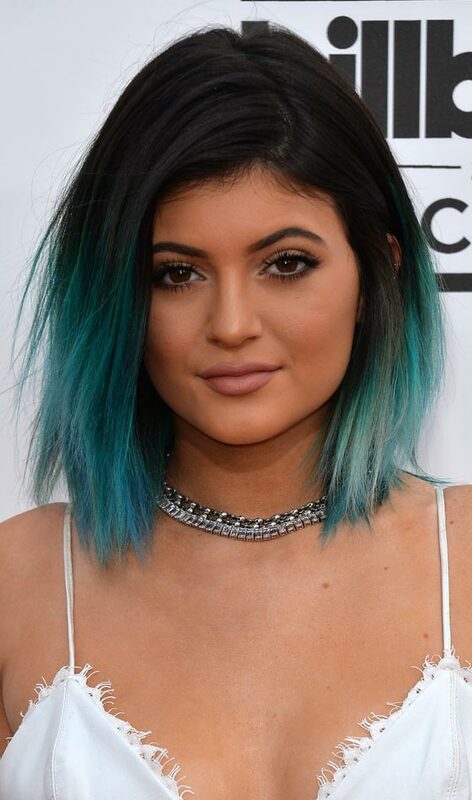 Kylie’s bob is one of the most quirky options around, thanks to its blue hue, side-swept bangs, and choppy waves – the hairstyle is show-stealing! Remember to apply a good color protection product, like RUSK Deepshine Color Care Lock-In Treatment to keep your hair color from fading. It’s very rare when Lady Gaga hits a high note with her hairstyle (regular), and with this polished curly bob, the Bad Romance singer has certainly nailed it. With layers, texture and uneven lengths, Gaga’s bob hairstyle is dynamic and funky. She modernizes her look by giving her soft bangs a sweep and pairing it with a bright pink lip. Great on thick hair, singer Katy Perry’s flapper hairstyle with sequined headpiece is flawless and funky. Rolled-under her hair to create a faux bob, the look creates an unavoidable old-fashioned appeal, thanks to the volume on the roots and sides. Swoon! Love it or hate it, but you can’t ignore this full-on lilac hair on Kelly Osbourne. Teaming her textured signature-purple bob with subtle eye makeup and dewy skin, the pop singer totally looks funky and classy. A statement hairstyle! 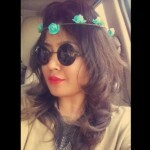 Here comes one of the best funky bob haircuts for women! 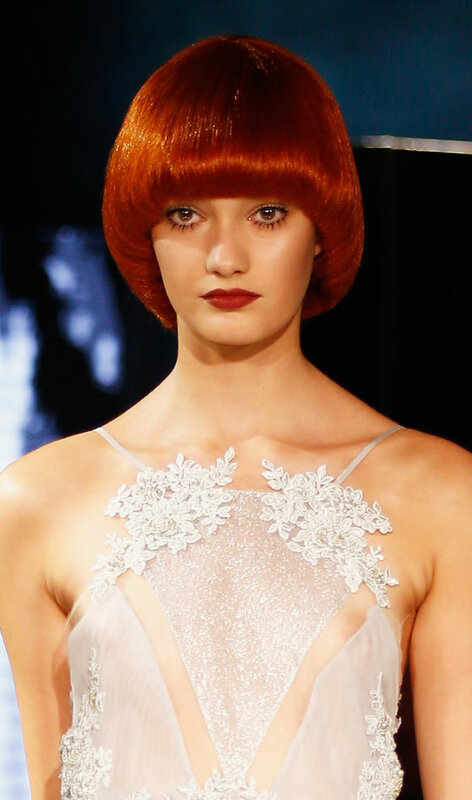 At the Zeynep Tosun show in Istanbul, the model makes a splash with her gorgeous mushroom bob. Easy to master and good to look at, the edgy, bold red colour adds a splash of elegance to her look. We love! Effortlessly cool, universally flattering and uber-funky – Caroline Damore has everything going on in this single picture! Our favorite of the lot, the DJ’s side-swept, pink to orange ombre hair is paired with a sleek bob and maroon lips at the OK! TV Awards Party. There you have it – ten funky bob hairstyles that are having a major moment. Do let us know in the comments below if you love these short funky bob hairstyles for women as much as we do!